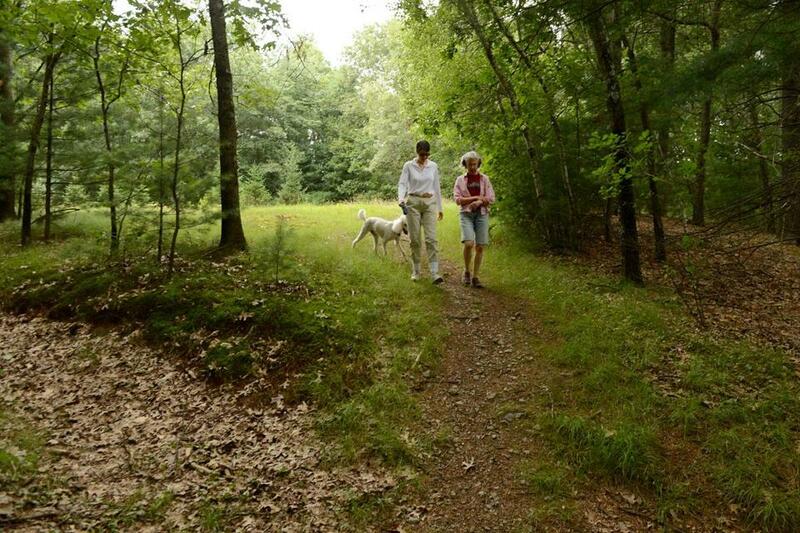 Laurie Bent (left) dressed in light clothing to avoid tick bites during a walk with Emily Hutcheson and Bent’s dog. Second in a series of occasional articles. Should we kill all the deer? That was the question facing residents of Maine’s Monhegan Island in the mid-1990s. Lyme disease caused by deer tick bites afflicted 13 percent of the year-round inhabitants. The parasites often feed on deer before laying eggs, the argument went, so wipe out the herd and we might be rid of the ticks. After fierce debate, islanders made the wrenching decision: Hire sharpshooters. Few other communities have followed Monhegan’s example, however. Blame the Bambi effect, as well as doubts about whether herd culling can work in places where there are dramatically more deer and people. Most other efforts to keep ticks and people apart have also foundered, even as Lyme has emerged as the second most commonly reported infectious disease in New England. This regional epidemic has yet to trigger a broad public health response on par with prevention blitzes aimed at some other pervasive maladies. That is partly because ticks are a devious foe. Vacation spots are often loath to publicize the threat for fear of scaring off business, and the public and politicians often do not perceive Lyme as a serious malady. The result is a lopsided spending gap between prevention efforts for tick- and mosquito-borne illnesses. “Lyme disease in Massachusetts has been an epidemic for years. However, it has not received the attention that it deserves,’’ said Representative David P. Linsky, a Natick Democrat who spearheaded a special state commission on Lyme disease that released a report this year urging the state to combat the illness more aggressively. Ticks have stealth on their side. Often as small as a pinhead, they don’t buzz in warning and their bite is painless. At home in our backyards, soccer fields, and hiking trails, they are far more challenging to eliminate than mosquitoes. And they are ubiquitous in the very places New Englanders flock in the summer — from mountain paths to stream-side camping grounds. Even in winter, ticks can bite on warm days, and climate change is lengthening the seasons when ticks are most active. Yet people often don’t take simple precautions. Constant tick vigilance can be wearying — and besides, it’s geeky to pull your socks over your pants. “It’s frustrating — we haven’t hit upon the right message yet to reach a lot of people,’’ said Tom Mather, a University of Rhode Island professor who runs tickencounter.org, a prevention-based website. Mather has spent years trying to come up with innovative ways to get people to spray tick repellent on clothes or tuck their pants inside socks when going for hikes. He even tried, unsuccessfully, to get the Rhode Island legislature to introduce a lottery scratch ticket dotted with ticks to raise awareness. If Lyme is caught early, most people recover quickly with antibiotics, but up to 25 percent of people report feeling unwell after treatment — sometimes for months or years. There is enormous controversy among some doctors and members of the publicabout why these patients are sick and how long symptoms can last. But there is no doubt that Lyme is a significant health threat. Untreated, the disease can cause a range of symptoms, from facial paralysis to arthritis and heart problems, to more common complaints of fatigue and headaches. Deer ticks can also transmit four other diseases to humans. Tick prevention has a big problem: Us. People are slow to adopt new habits, even when they protect us from harm. Think sunscreen. Or flossing. Or exercise. It can seem a real bother to perform daily tick checks or follow the recommended long-pants dress code while in the garden or on a hike. Others are simply oblivious, lulled into a false sense of security because, unlike a mosquito’s buzz and bite, the tiny ticks are often imperceptible. It’s hard to remain vigilant about something you cannot see or feel. Nowhere has that response been more apparent than on Cape Cod and the Islands, which long have had some of the highest rates of Lyme disease in the Northeast. Last year, state officials said the region had 438 confirmed or probable cases of Lyme disease — although cases statewide are believed to be five to 10 times greater than reported because so many patients go undiagnosed or do not fit reporting criteria. One 1990s-era survey of ferry passengers to Martha’s Vineyard found that while 73 percent of people had a good understanding of Lyme disease, only 22 percent performed tick checks. “Even for those of us who preach prevention, it can be hard,’’ said Brenda Boleyn, volunteer chairwoman of the Barnstable County Lyme/Tick-borne Diseases Task Force. And a surprising number of Vineyard tourists are not even aware of the Lyme risk. A recent survey found that 63 percent of visitors were unaware that tick-borne illnesses are a health threat on the island. Now, a number of local agencies are working to turn the tables on ticks and disease. The Martha’s Vineyard Boards of Health Tick-Borne Illness Initiative is working to reduce severe tick-borne illnesses 75 percent by 2015. 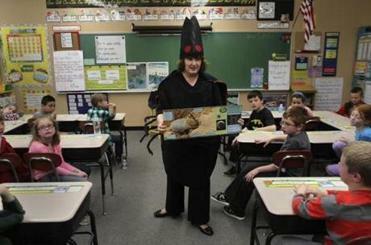 The initiative recently provided parents of every grade-school child — one of the highest-risk populations — a brochure and DVD on how to protect against tick-borne diseases. The group, armed with a $250,000 grant from Martha’s Vineyard Hospital, is focusing on bite prevention and early symptoms recognition and treatment. The coalition has also surveyed pharmacies that dispensed antibiotics to treat Lyme to get a clearer picture of the disease’s prevalence. “We want this to be data-driven and sustainable,’’ said Michael Loberg, a Tisbury Board of Health commissioner and a member of the coalition. On the Cape, the five-year-old volunteer group Lyme Awareness of Cape Cod regularly blankets the region with pamphlets and holds awareness events. A federally funded four-year experiment has placed 42 deer feeding stations on the Cape and Islands, where the animals’ heads and necks — common hiding places for ticks — rub against a pesticide applicator as they get food. The project is in its final year before being evaluated to see whether it should continue or be expanded, said Larry Dapsis, Cape Cod Cooperative Extension entomologist and deer tick project coordinator. Dapsis, meanwhile, is intent on increasing the number of garden stores that carry permethrin, an effective tick repellent that can be sprayed on clothing, from two to 15. The chemical is not meant to be sprayed on skin. Store managers “just need a little tick boot camp, a little education,’’ he said. These efforts, and others across the state, often rely on shoestring funding and volunteers: Unlike the more than $10 million spent statewide on prevention of mosquito-borne diseases, the state allocates only a few tens of thousands of dollars for tick-disease education. Last year, there were 33 human cases of West Nile virus and seven cases of Eastern equine encephalitis reported in Massachusetts; both are spread by mosquitoes. There were more than 5,000 confirmed and probable cases of Lyme. There are signs that Lyme and ticks may soon get more attention. The Lyme special commission’s report called for the state to launch a range of prevention efforts, from aggressive public education to clearing brush from trails to exploring expanded bow hunting for deer in more parts of the state. The report called for an increase in state funding, but the Legislature and governor so far have not acted on the suggestions. Still, a hearing is expected in coming months for a bill reintroduced in the State House this year by Representative Carolyn C. Dykema, a Holliston Democrat, that would expand the authority of the state’s mosquito control districts to include controlling the tick population. Other headway is being made by the federal government. The Centers for Disease Control and Prevention and the US Environmental Protection Agency have convened meetings in recent years to discuss possible community-wide tick control measures that might be effective. Disease-carrying mosquitoes are readily killed by spraying because they breed in standing water and wetlands, “but ticks are everywhere,’’ said Kirby Stafford III of the Connecticut Agricultural Experiment Station, who has written extensively on tick prevention. Ticks live under leaf litter and brush. “It’s not easy to reach them,” he said. Yet federal officials say it is clear that more coordinated action by public health agencies is needed. Deer ticks got their name because so many feed on the serene mammals. Deer populations have steadily increased over the last century in the Northeast, and a Rhode Island study by Mather found that five engorged ticks, each able to lay 2,500 or more eggs, can drop off a single deer every day during October and November. “Reduce deer and you significantly reduce risk,” said Sam R. Telford III, a professor at the Tufts Cummings School of Veterinary Medicine. In Massachusetts, some communities — including Framingham, Sudbury, Andover, and Dover — allow bow-hunting on town property to reduce deer populations to prevent Lyme. But as the practice gains traction, so does controversy. A group of Weston residents this year unsuccessfully attempted to repeal a year-old bow-hunting program that killed 18 deer last year. Some scientists are on the opponents’ side, saying it is not clear that culling deer will reduce ticks, because adult ticks may find other hosts to latch on to for a needed meal of blood before they lay eggs. “The only real evidence there is a relationship between deer numbers and Lyme disease risk took place on islands,’’ where there were no other large animal hosts for adult ticks, said Richard S. Ostfeld, disease ecologist at the Cary Institute of Ecosystem Studies in Millbrook, N.Y. Some research suggests more needs to be done to control mice, which often pass the Lyme bacteria to young ticks, perhaps by increasing populations of predators, such as fox. Research also shows that deer herds need to get down to about 8 to 10 per square miles to have a significant effect on human disease — Martha’s Vineyard has 40 to 50 per square mile, according to a just completed census — and most towns’ programs have not met that goal. Even if they do, neighboring communities may not reduce herds, which cross town boundaries. “It has to be a regional effort,” said Laurie Bent, Weston Conservation Commission chairwoman. An avid walker on town lands, she dresses in light-colored clothes, long pants, and a long-sleeve shirt — and she even bought a white standard poodle in part because ticks would be more visible on her pet. “This is a start,” she said of Weston’s bow-hunting program. Mather is in the deer-culling camp, saying the evidence is overwhelming that it helps to limit disease spread. But he urges multiple approaches to prevention. He spearheaded development of tiny tubes filled with tick-repellent cotton balls that residents can leave in backyards. Mice take the balls back to their nests so ticks do not latch onto them to feed. There is also ongoing work by Telford and others to vaccinate mice, to keep them from infecting ticks with Lyme. And in New York, an experiment is testing contraceptive injections to reduce deer-herd growth. Mather continues to find new ways to reach the public. Recently, he’s tried to buttress his case by gluing seed-sized deer ticks onto the surface of a poppy seed bagel. Correction: Because of an editing error, a photo with an earlier version of this story of deer at a feeding station was incorrectly credited. The photo was provided by the Cape Cod Cooperative Extension.